Colour slide (35mm), from a collection by Ian Ross-Harper, showing a piscina. 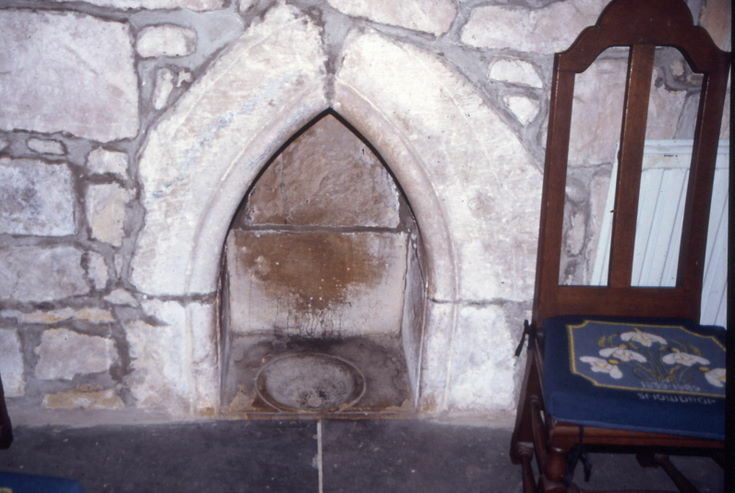 This dates from the Roman Catholic period of the Cathedral, and was used by the priest to wash the chalice, with any remaining wine draining away onto consecrated ground, through a hole in the bowl. Originally, the piscina would have been at waist height, indicating that the floor level was once much lower.